WORSHIP: a response to God’s love as the Holy Spirit touches our human spirit. 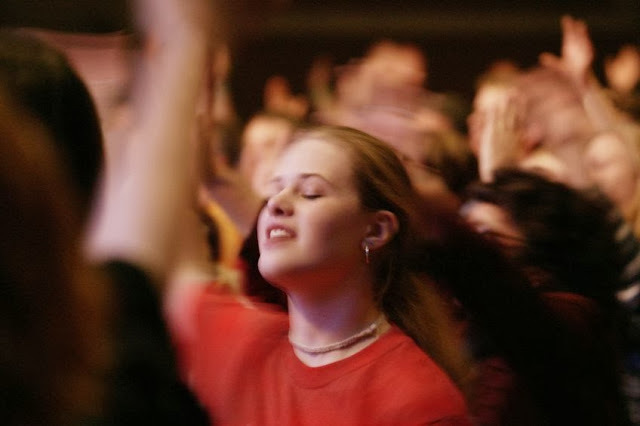 It may seem odd to look at worship as a Spiritual Discipline. But if you have ever been so angry you could explode or struggling with an ailing body… think about being in the midst of these situations and still able to worship God. That takes Spiritual Discipline. Where do we turn when we’re coming undone at the end of a bad day? There are many styles of worship: liturgical, charismatic, traditional, and contemporary. Because the New Testament doesn’t specify rules and forms of worship, no one style is better than another. The most important thing to consider is our heart motivations before, during and after. Before beginning a time of worship we must be sure we are in right relationships with family, friends, and God. If we go into worship angry that will block our ability to give and receive love, which is the primary purpose of worship. The quality of our worship comes from the focus of our heart. We mustn’t look at another person and compare styles of worship. God wants my very best, not my interpretation of someone else’s very best. The heart of worship is to seek God and love Him in our own personal way. Take some time to evaluate your type or style of worship. Is it all you want it to be? You can lay face down on the floor or dance around the room. Whatever you do that shows God how much you love Him is what He wants from you. What does worship mean to you? How do you like to worship? If you can’t see the video screen below click here for one of my favorite worship songs.